When Hideo Kojima parted company with Konami under a cloud and reports began to appear that the firm didn't have the best track record for staff morale, it seemed as if the veteran publisher was finally planning its escape from the world of AAA video games. However, fast forward to the present and the "new look" Konami is doing brilliantly - in fact, it has just posted a 70 percent leap in profits for the nine months ending 31st December 2016, when set against the same period in 2015. Despite its lack of big-name releases, the bulk of Konami's cash continues to come from "Digital Entertainment", with smartphone games being a big part of that. Yu-Gi-Oh! Duel Links has been downloaded 25 million times, for example, while Jikkyou Pawafuro Puroyakyu has clocked up 29 million downloads. Konami's console releases have been few and far between; it published Jikkyou Pawafuro Puroyakyu Heroes for Nintendo 3DS and Pro Evolution Soccer 2017, the latter of which has delivered a "solid performance". Outside of games, Konami continues to grow its casino machines and fitness center businesses. Revenue is actually down 8.5 per cent - a consequence of Konami not releasing many big games - but that makes the 70 percent jump more remarkable and signals that the company is running a much tighter ship. Given that this new approach appears to be working, it's perhaps not wise to expect Konami to change its ways in 2017. Super Bomberman R is something of a surprise release, but follows the pattern of using old IP in low-cost projects. Elsewhere there's the divisive Metal Gear Survive and the yearly PES release, but aside from those, Konami's release slate is looking rather bare if you're a console gamer. Not that it will be overly concerned, given these recent financial results. They may be doing fine financially, but morally, they've degraded themselves beyond belief. That's good for them... The only two games I enjoyed from Konami was Contra/Super C, and Jackal. But of them NES classic old school games. Moral does not bring money, and companies want the last one. One person, does not matter if he/she/(it) is a genius, will not destroy a company when leaving. The only loss for Konami was in the innovation field. Konami is a garbage company. Kojima's games were expensive to make. That's all. oh konami. just die already. I wouldn't say goodbye to Konami yet... we never know which IPs they could bring back. It is unlikely, but this is the studio that gave us castlevania, zombies ate my neighbors, etc. 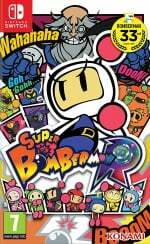 This bomberman release gives me some hope. I am getting Bomberman. I hope Kojima will make something for The Switch. they can do a capcom and just rerelease their greatest hits as hd remakes. maybe do a bit of square and remake their most iconic game: metal grear solid. I don't really care about either tbh. I enjoyed a few of Kojima's games and I enjoyed a couple of Konami's games but overall I don't like either tbh. Konami are doing some seriously stupid bs and I can't stand how Kojima tends to present himself and how people act like he's some kind of genius writer/game designer when the MGS series is one of the most convoluted POS out there. @DiscoGentleman I'm so hyped as well! 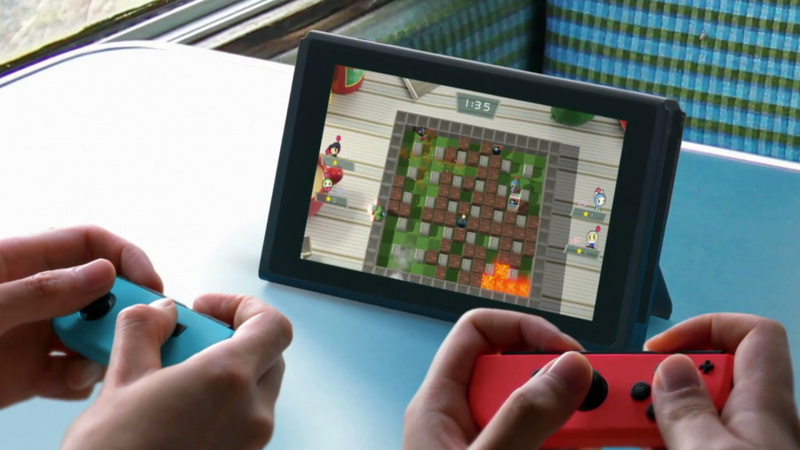 Bomberman for Smash!!! Hey, whatever goes on behind the scenes... that's their business to sort. I play Yugioh so yeah if Konami went belly up...they got me in a vice here. Konami is my favorite devs/publisher along with Nintendo on the Famicom back then. I hope they bring more IPs back to the Switch. "Just because Konami is now supporting Nintendo, let's making an article showing how much we love them"
@Equinox yeah, I'm not a football gamer at all, but If I had to pick a game that would be Pes over Fifa. @TheDavyStar I do play yu gi oh videogames too... but I have a long time without playing one. I think the last one was world championship 2011 for DS and I miss it. yeah, I don't think they'll do. Konami won't see a cent from me ever again. IF I feel compelled to play any of their future games, they will all be bought used. Hate to admit it, but that Yugioh mobile game is kinda fun. Played it every day solid for the past two weeks - despite stating how much I hate mobile games. Only did it to play with a friend though. Anyway, I can't say I care too much about this whole Kojima thing. I'll admit what Konami's been doing to it's staff is terrible -horrible, even- but I've never really been interested in any of Konami's games. So I'm not affected no matter what they do. If Dead Stranding turns out to be good, I hope Kojima will at least consider the Switch. But I'm honestly not holding my breath. I'm all about the new Bomberman R so whatever. I won't hold my breathe for a real Castlevania game to come out, but come on, it's Bomberman. They really did rule back in the NES days and their DS/Advanced Castlevania are iconic. Come to think of it so is Contra. So is that code. So is that really super cool game called The Legend of the Mystical Ninja. That series is just too good. I guess I love there old stuff. Here's hoping they do Hudson justice with Bomberman. I always enjoy seeing companies like Konami do well financially, because I get to see the silly comments people make who seem upset that it's doing so well outside of video games. To be perfectly honest, Yu-Gi-Oh! Duel Links is actually a quite solid title. The matches are quick and fun, P2W aspect isn't that much annoying, at least right now (read: I managed to snag some ultra rare cards and create a decent deck without spending a penny), and PvP/battling with friends is a blast. Konami has a brilliant library of awesome IP's it's just a shame they'll make gambling machines out of them. If they want money, let them sell their catalogue of IPs to a company that still has heart and a passion for making games. If this is the path they want to take, I wish they wouldn't be such scumbags about it, destroying a reputation and legacy that was built at the heart of the golden age of gaming. Screw Konami's suits. Bunch of soulless ghouls. Go make your casino and mobile money and let someone else continue the legacy. Profits up, revenues down. That would not be particularly reassuring for investors. The profits are a short term boost during a period of contraction. Great for the short term flippers, not so great for the duration investors. @BinaryFragger you are correct, Konami use to be King. I remember I would highly anticipate nearly every game Konami released on the NES. I think The Adventures of Bayou Billy might have been the first game of theirs that I was highly anticipating but I just could not get into. Otherwise every other game you mentioned was super fun. But gaming was different back then. Most people did not have access to hundreds of games for cheap. So if you bought a game you played it a lot and got really good at it. If I played Castlevania, Ninja Turtles, Contra, Life Force, or Jackal today, they might seem "hard", but they are a different kind of hard that you needed patience and yet you got good at it. Starting from the start every time is so different from games from today. I know it sounds crazy today but Blades of Steel was such a step up from Ice Hockey it blew me away at the time. Good times that will never be repeated in today environment. Some people and their "holier than thou" attitude.Why should it concern you what goes on behind the scenes at Konami?Do you honestly think Nintendo are angels that don't overwork their staff and only buy their parts from manufacturers who pay their staff a fair livable wage?I will assume you avoid going to the cinema because of the lack or morals in Hollywood?And that you only buy your clothes from retailers that can prove they were not manufactured in sweat shops?I also assume you will only buy Fair Trade groceries? Yes, profits are up... At the low, low price of THEIR SOULS. @OorWullie spot on. Great comment. @OorWullie A lot of those are actually venerable traits. It's impossible to achieve ethical purity in the tech market, due to where and how materials are sourced. Eastern Asian workers in general are also overworked. However, I only very rarely go to the cinemas, and the one movie I've seen at one for the past couple of years was Hidden Figures- not exactly a Hollywood blockbuster production. Buying 100% organic cotton clothing from fair trade and USA made (since I'm American) always yields better and more comfortable clothing, for no higher of a cost than going to a mall. And I buy Fair Trade/Organic when possible, and keep up to date in the Fair World Project, which highlights not only the growing fair trade market, but also identifies the fakers, such as Whole Foods. It's impossible to be perfect. But it's not wrong to try to do better by the common worker on the other end of the supply line when possible. Prostitution pays well too, I've heard. Kojima-free Konami is dying just fine I see. I mean doing. Bombergirl, complete with destructive clothing, not so much. That is the new Konami reality. trashy and morally questionable. @NintySnesMan Because they treat their employees like puppets on a string. Konami have been using practices towards their employees that are against human rights laws. The whole of the Japanese games industry has had trouble adapting to the western AAA scene. Konami cut Kojima mid project after blowing a small fortune on MGS5 and the big budget Castlevania was a similar mess. Final Fantasy XV took Square 10 years to make. Capcom struggled to make games like Monster Hunter relevant- and ruined Resident Evil and Devil May Cry in the process (and Street Fighter V?). Sega made apathetic Sonic games and almost abandoned the brilliant Bayonetta. The truth is, production values have spiralled out of control for any publisher that doesn't have a conveyor belt production line of re-skinned games (Ubisoft, Activision, EA, Warner). Konami have violently cut back on all the innovation and all were left with is cheap cash grabs. It's really sad to see a once vital producer of games turn into a Pachinko maker, but then perhaps they're right not to throw money at the triple A market any more. The numbers sort of show they're not wrong. The question is: if Bomberman does well, could Konami consider investing in more mid tier budgets games like Castlevania, Contra, Suikoden and Gradius? Personally I'd be happy to see that happen. Konami right now is blah for me. But, I want Konami release new DDR games once again on Nintendo Switch. The only Konami games (I mean BEMANI games) that I LOVE so Much. @CCore28 Except for the part on demoting producers and pointlessly shuffling employees, all that actually sounded mild and honestly, kinda funny lol. Far from a training camp. Old Konami = Greatest DDR ever, especially DDR 3rd Mix. Konami plsss bring a new super castlevania v for Switch !! Pachinko Gear Solid; the newest hit from Konami! Featuring all the characters you know and love, with 100% less interactivity! BUY TODAY! "If they want money, let them sell their catalogue of IPs to a company that still has heart and a passion for making games"
After playing Hard Corps: Uprising, I nominate Arc System Works. Still, between the new Bomberman projects, Castlevania getting some attention via Netflix, and hopefully some success with the many Monster Boy projects coming soon they'll take another look at Hudson's Adventure Island. There's always hope. I do believe the way they treated Kojima was abhorrent, but pre-social media I'm sure there was way worse more often throught the industry. Plus this guy pretty much handcuffed their budget every year, and they were ill equipped to properly market their excellent smaller budget digital efforts last gen (though I think passing Rocket Knight Adventures to a western developer was a big mistake). I think the way we consume games has caught up to the possibilty of these classic IP warehouses like Konami/Hudson, Natsume, SNK, etc. being successful on smaller budgets with styles appropriate to their franchises. May the prodigal publisher return! @rushiosan You didn't even read the article, did you? "Given that this new approach appears to be working, it's perhaps not wise to expect Konami to change its ways in 2017. Super Bomberman R is something of a surprise release, but follows the pattern of using old IP in low-cost projects. Elsewhere there's the divisive Metal Gear Survive and the yearly PES release, but aside from those, Konami's release slate is looking rather bare if you're a console gamer." It's a pretty straightforward news article with no bias or agenda to it. Overall revenue down but profit margins way up by releasing low-budget games on mobile devices. Investors will be happy and my worry is this could push other companies to do the same. Who knows? There's still a profit in console gaming, but mobile looks more lucrative for lower outlay. @NEStalgia This. You're going to have a huge profit spike when you are still receiving residuals from what was arguably the most successful game of 2015, especially from its online component, and you aren't shouldering any US$80m multi-year developments. Konami will continue to be profitable, a company of known ties to yakuza and whose primary business is now pachinko machines can't help but be so, but their brand equity is the lowest of any game company still extant and that's ultimately what will kill the company. Gamers show brand loyalty (when a company makes good content) and Pachinko players don't. even though they are evil, i can see some sort of nintendo-like intelligence to their approach. triple-a development costs are ridiculously out of control. so no more giving kojima 8 years and 200 million to make a game. instead they can spend 200 thousand making bomberman and have that be a pretty big hit. so it's not like they hate all forms of proper video games — they just hate ridiculous budgets, and, of course, they will drag anything through the mud for a buck. @JohnGrey Beautiful summary, and nicely Konami-focused. I do find their emergence of Bomberman R on Switch and Bombergirl for arcades in interesting, and unexpected reality though. After pulling back to entirely focusing on mobile, it shows they're willing to at least test the waters here and there to seek expansion, which indicates leadership aware of their problems. Maybe not the best solutions for the problems, but an awareness of and willingness to try addressing them isn't nothing. It's more than can be said for prior leadership there. It'll be a bumpy ride for investors, but it's not a lost cause just yet. @flummerfelt Zombies Ate My Neighbors was Lucasarts, so that's now effectively a Disney property. Please. Maybe 'just fine' financially, that's great for them, does nothing for me as a gamer who grew up with classics like Castlevania, Contra, TMNT The Aracade Game, Turtles in Time, The Hyperstone Heist, Super Castlevania IV, Contra III, Castlevania: Symphony of the Night, Silent Hill 1 and 2 and Metal Gear Solid 1. When I was in college there was Contra Shattered, Silent Hill 3, Metal Gear Solid 3. The wheels started coming off last-gen but I did enjoy Metal Gear Solid 4 and Peace Walker. Now, however? It's sickening to look at what a pathetic, empty shell of its former self this company is, and more sickening that some applaud it. Uhm, yeah, with cheap mobile games. Pro Evolution Soccer for example has been on a creative downward spiral for years, nowadays those games are released with less polish and more bugs, now they even release PES with outdated databases, which is really embarassing for a football game. But not only that, they even released PES on PC with an outdated engine as well - something EA had been doing with FIFA earlier but then finally they gave the PC version the same new engine the PS4/XB1 version has. Take it from me - I was a massive PES fan and bought every game from PES 6 to PES 2016 and the latter one was already a disappointment. And while I never played MGS, what they did to Kojima and how they alienated their whole fanbase is really telling. They just don't care about gamers anymore. @Damo I would've expected a bit more criticism in your article. Not like totally smashing Konami, but at least when you mention PES 2017, you should also mention the outrage and disappointment it has created among fans. I did see you hinting at their bare-looking release slate. But saying Konami is doing fine (who - as a gamer, not as a businessman - cares about their profits?) in the wake of them practically abandoning everything that made them great is just leaving out a huge portion of what has actually happened. Konami are just not putting the same effort and creativity into their products anymore. Their long lasting gaming franchises like MGS or PES are now degraded to cheap knock-offs of the originals. Konami don't deliver quality games created with passion anymore, but rather "whatever creates the biggest profits". Sure, every gaming company has always looked to make a profit - they're not charities - but not like that, not in such a blatantly sleazy way. And btw, something very similar has happened at SEGA Capcom as well. Just look how they're trying to milk their Street Fighter franchise. No, I'm not just talking about SFV (which introduced almost nothing new) or USFII (which is just a remake), just take a look at how many iterations SFIV had. They basically sold the same game (with small adjustments) four times: Street Fighter IV, Super Street Fighter IV, Super Street Fighter IV: Arcade Edition, Ultra Street Fighter IV. And they made people pay every time. Street Fighter by SEGA ?? SEGA has Virtua Fighter, Not Street Fighter. Oh, don't forget if Konami also well known with DDR franchise. @Anti-Matter @NintySnesMan Thanks for pointing that out! I don't know why I wrote Sega, I obviously meant Capcom. I don't understand all the Konami hate. I don't like how they have been moving away from game development at the same time buying Hudson to basically shutter it. But the move to get Bomberman R made could make a change in the company. If we start to see uses of their properties in good ways I will continue to be happy. There is a Castlevania show coming to Netflix. Hopefully it's does well for them. Maybe they will make a new game too. Konami... a shell of its former self. If no Castlevania love, then I have nothing to care about. I'm excited for Bomberman R and hopefully a return to Castlevania on the Switch. That's all I really care about when it comes to Konami. Kojima isnt some cash cow with humble development space, he dumped so much money into KojiPro and didnt have much to show for it. He's made great games and has one hell of a vision, but a company can't ignore their bottom line for that. @UK-Nintendo In a totally different way than Capcom did with SFIV (not by rereleasing the game, but by selling expensive DLC characters), but yes, I agree. The key difference is: You were forced to buy the new versions of SFIV if you wanted to play against friends who bought one of the 'updated' versions. E.g. I had already played the original SFIV for many years when a friend bought SFIV Arcade (and then Ultra) and to be able to play against each other, I had to buy the updated version. But in Smash, all those characters (and stages) were optional, you weren't forced to buy them. I even have to admit, I did buy the Ryu DLC, just because it was irresistable for me (I don't have a favourite Smash character but I've played SFIV a lot, especially the Ryu-type characters, so it was a no-brainer for me, because I already knew his moves). But at the same time I disliked the whole DLC concept they used for Smash. @shani while I agree but I bought street fighter 4 and then ultra street fighter 4 and the rest were dlc. From ultra street fighter 4 to arcade edition was 9.99 upgrade dlc. Then I think it was 12.99 to go to the omega edition with every single character. Again this was still way cheaper than smash 4. @UK-Nintendo Don't get me wrong, I also enjoyed SFIV a lot. Back in 2008, I immediately bought it and also started watching all kinds of animated series and movies. It really spawned my interest in SF in the first place, because before I had only played it occasionally as a child (and watched the series and read some comics). And later on when said friend bought SFIV Arcade, I again enjoyed it a lot, we had tons of epic battles and fighting online against strangers was also a lot of fun. But the changes between the SFIV versions were really marginal, they slightly altered minor details like hitboxes etc, but that's it. These are changes that - in any other game - are usually included in free updates, also called 'patches'. But no, Capcom charged gamers every time they slightly updated their game. Yes, there were some DLC characters in those updates, but I really couldn't care less about those. Quite frankly, these 'new' characters were - in regard of their moves - basically just rehashed versions of the classic characters. They didn't add any new moves (I mean on the controller) that you had to memorize. And the original SFIV already had plenty of characters to choose from, so the updates really didn't add anything new to the game. In fact, I would've preferred it if Capcom did it the Smash way: free balancing updates + paid character DLC. @shani I have to disagree. 2 years of smash vs nearly a decade of street fighter 4. It got many free updates. All the balancing and patches were free and they use to regurlarly patch updates to balance the game. The final rosta of players is amazing. Like you I also got ryu in smash just to check it out as it's a great game my kids enjoy it. I guess for the money and hours spent in the game, I feel I got my money's worth. I play most of the players but dhalsim was my winner. @UK-Nintendo Well that's a fair point. I've definitely spent a lot of time in SFIV, whereas I rarely played Smash (it was actually my first Smash game ever), even after buying the Ryu DLC. Still, that doesn't justify charging people multiple times for basically the same game. Sure, there were also free patches, but I still believe those changes that led to Arcade or Ultra should've been free for people who already owned SFIV. It's just a matter of decency (a good example would be Splatoon - it underwent more changes in one year than SFIV did in a decade, still all those updates came for free). It took months of my buddy pestering me until I finally gave in. In the end, I paid for SFIV (full price), SFIV Arcade (9,99) and SVIV Ultra (9,99) - and being charged for those two updates felt really brazen. They added nothing for me, the only reason I bought them was to play against a friend. But yeah, SFIV is still my favourite fighting game (until ARMS is out ). According to Steam, I haven't played it in almost a year, so I might be a bit rusty, but if you want, we can play a few matches some time. hello konami this is koji igarashi. maybe you seen that epic kickstarter. the one you said would fail. because i was there when you told me it wouldnt work. looks like the only games people mention of yers is the old ones. @UK-Nintendo Probably not, since it's a bit far away and not that high on my priorities list, but I'd like to go there some day. BTW what I meant with my previous post was playing SFIV against each other online. leave them, If they want to continue showing hate, they do, and I'm sorry for my words, but THAT IS THEIR PROBLEM. I used to love Konami games until the last 5 years. The only good Konami games have been Metal Gear Solid games, in my opinion. The last good CastleVania games were on DS and Wii. @ballistic90 I was going to say not having to pay for his games helps. @idrawrobots I agree completely...I do feel like Bomberman sales will influence Konami's support for Switch. I do think most of the ire is from Kojima-gate. Konami will be doing even better after taking advantage of the barren day one switch lineup. I think Bomberman will be the number 2 title after BOTW of course. $50.00 US for this fun little game makes me feel slighted. They are lucky it's slim pickings. Ah, Konami...I remember. Are they still making videogames? When you don't need to pay Kojima's salaries, I guess profit is guaranteed.